Need a gift for a bubbly lover? Look no further! A chic and simple black initial runs across one side of this contemporary glass, which we personalise by adding the initial of your choice. 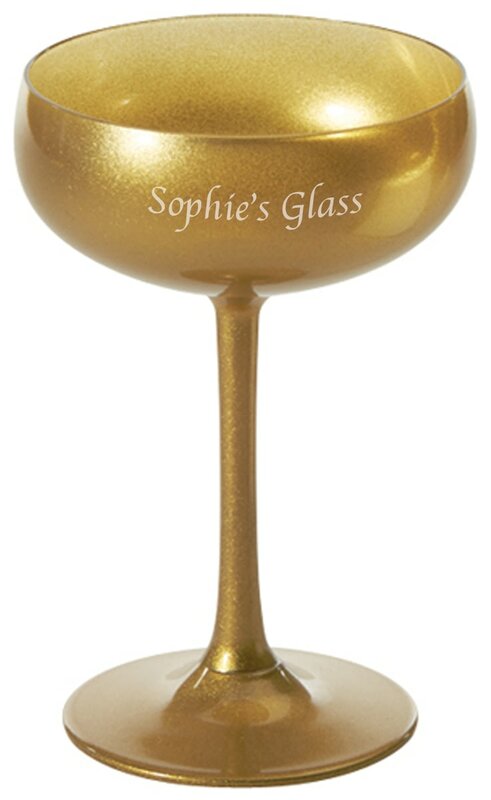 These Champagne flutes are made from fine glass and make a perfect present to mark an important occasion. Make this champagne flute even more special by including the recipients name and age. These gorgeous flutes make the perfect gift for any special occasion.